9.59mm x 24.63mm / 0.378in. x 0.97in. 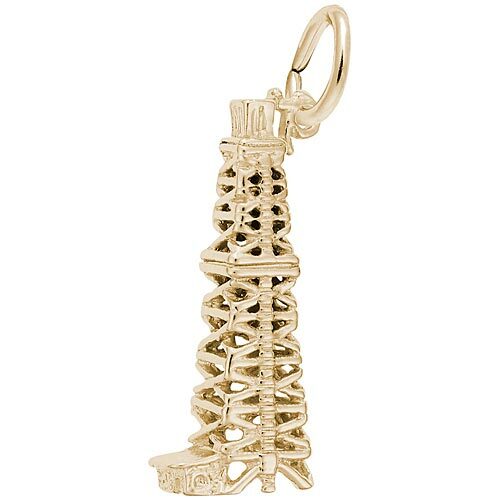 Oil Well Charm by Rembrandt Charms. The height is 1 inch. Remember your first time drilling for oil with the Oil Well Charm. This pairs well with a mining charm on any charm collection. This oil well jewelry can be placed on a necklace as a pendant or will be a wonderful addition as a charm for a Charm Bracelet. All Rembrandt Charms are available in either silver or gold.